Three Pulitzer Prize winners, a five-time Emmy Award recipient and a longtime adviser will be inducted into The Chart Hall of Fame on Saturday, Sept. 30, as part of homecoming activities at Missouri Southern State University. 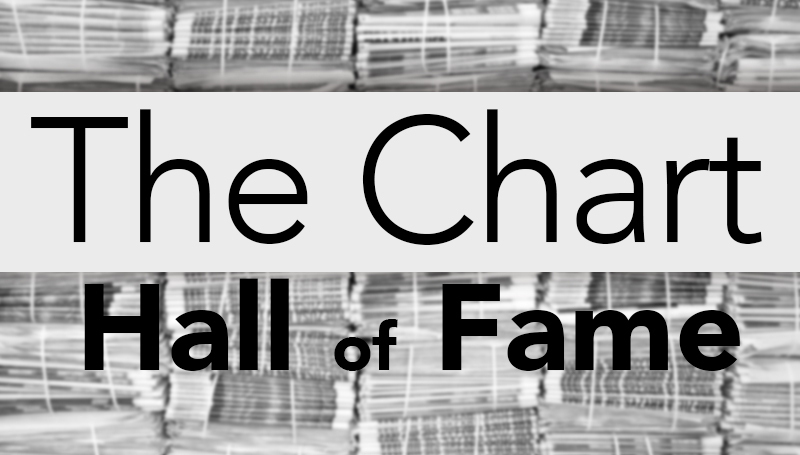 Marion A. Ellis, Rich Hood, Pam Johnson, Liz (DeMerice) Johnson and Dr. Chad Stebbins will join 2012 inductees Kenneth McCaleb, Cleetis Headlee, Jack Brannan and Richard Massa in The Chart Hall of Fame, which adds new members every five years. The student newspaper was established in 1939 at Joplin Junior College. Rick Rogers, vice president of sales for TownNews.com and a former Chart editor-in-chief, will serve as the emcee for the reunion banquet. Tickets are $20 each and can be purchased by calling 417-659-5466 or online at http://www.mssu.edu/advancement/alumni/homcoming-chart-pmt.php. Marion A. Ellis was editor of The Chart in 1958-59 before heading to the University of Missouri School of Journalism, where he became editor of SHOWME, the campus humor magazine. He later became a staff writer on The Charlotte Observer, where he won many journalism prizes, including being a member of the team that received the Pulitzer Prize for Meritorious Public Service in 1981 with a series on brown lung disease. The series also won the Robert F. Kennedy Award and the George Polk Award. Today, Ellis is a Durham, N.C.-based writer specializing in corporate histories and biographies. From 2001 to 2012 he was the editor of The Bulletin, the newsletter of the American College of Trial Lawyers (actl.com), headquartered in Irvine, Calif. He has written the biography of former North Carolina Gov. Beverly Perdue and the biography of C. C. “Cliff” Cameron, former chairman and CEO of First Union National Bank. Before he was commissioned to write the NationsBank (now Bank of America) history in 1989, he was the Charlotte-based regional manager for Business Wire of San Francisco. Prior to that he was executive director of the Central Charlotte Association. Rich Hood’s experience at The Chart from 1963 to 1965 under adviser Cleetis Headlee helped prepare him to earn his journalism degree from the University of Missouri-Columbia. He began working at The Kansas City Star in 1972 as a courthouse reporter. In 29 years at the paper he held a variety of jobs including bureau chief, Kansas editor, assistant city editor, political correspondent and columnist. His last eight years he was vice president and editorial page editor. He won numerous awards for investigative reporting, commentary and editorial writing and was part of the staff that won the Pulitzer Prize for coverage of the Hyatt Regency hotel disaster in 1981. Later, Hood became the highest-ranking career person in public affairs at the U.S. Environmental Protection Agency in Washington. In nine years at the EPA he received the agency’s highest award, the gold medal for excellence in communications and public affairs. “My time at The Chart opened the way for me to have a front row-seat to history,” he said. “I was privileged to interview every president and major presidential candidate from Jimmy Carter to Barack Obama, and for several years I was on a first-name basis with every member of Congress in both Missouri and Kansas. My journalistic assignments took me all over the U.S.
Pam Johnson became the first executive director of the Reynolds Journalism Institute at the University of Missouri in 2004 and served until her retirement in 2011. She previously served as a member of the leadership faculty at the Poynter Institute for Media Studies, in executive and managing editor positions at The Arizona Republic and The Phoenix Gazette and as assistant managing editor at The Kansas City Star. Johnson also worked at The Joplin Globe and the Binghamton (N.Y.) Evening Press. A 1969 journalism graduate of the University of Missouri, she was awarded the Missouri Honor Medal for Distinguished Service in Journalism in 2000. She shared the 1982 Pulitzer Prize that was awarded to The Kansas City Star and Kansas City Times for coverage of the Hyatt Hotel skywalks collapse. Johnson has served as president of the Associated Press Managing Editors, as a Pulitzer juror and as a judge for the American Society of Newspaper Editors Best Writing Awards contest. She has served on numerous boards including ASNE, APME, the Freedom Forum Pacific Coast Center, Investigative Reporters and Editors, The Foundation for American Communications and the Missourian Publishing Association. She is a founder of the Journalism and Women’s Symposium, a group formed to help women in newspapers through networking. Originally from Carthage, Johnson served on The Chart staff from 1965 to 1967. Liz (DeMerice) Johnson is a former editor and reporter for The Chart, and the winner of five Emmy Awards with 35 years of experience in both print and broadcast journalism. She began her professional career at the age of 17, working in the newsroom of her hometown newspaper, The Joplin Globe. She later worked as an anchor/reporter at KODE-TV in Joplin. After graduating from Missouri Southern, she attended graduate school at the University of Missouri School of Journalism. After college, Johnson worked as a producer in some of the country’s top television markets, including Oklahoma City, New Orleans, Detroit and Chicago. During her years at WBBM-TV, the CBS-owned TV station in Chicago, her Emmy award-winning TV magazine/talk show had a diverse guest list, ranging from future President Barack Obama to former Secretary of State Madeleine Albright. Since 2010, she has worked in the field of strategic communications. She currently serves as the U.S. manager of internal communications, for ArcelorMittal, the world’s largest steel and mining company. Dr. Chad Stebbins led The Chart to a “Best in State” award as editor-in-chief in 1981-82, and then to “Best All-Around Non-Daily Newspaper” national awards from the Society of Professional Journalists in 1995 and 1996. The Chart also received a National Pacemaker Award from the Associated Collegiate Press in 1997 after finishing as a Pacemaker Finalist nine times in a 15-year period. The newspaper was a finalist for the Los Angeles Times’ Story of the Year competition in 1986, 1992, and 1995. Stebbins, who served as Chart adviser from 1984 to 1999, instituted a State Capitol reporting program in 1990 that operated for 21 years. He also bolstered the newspaper’s reputation for in-depth reporting by encouraging members of the staff to travel throughout Missouri and the Four-State Area – and later internationally – reporting on various topics. A scholar in community journalism, he is the author of “All the News is Fit to Print: Profile of a Country Editor,” published by the University of Missouri Press in 1998. He is also the executive director of the International Society of Weekly Newspaper Editors, which is headquartered at MSSU. He was named the Distinguished Four-Year Newspaper Adviser by the College Media Advisers in 1999.